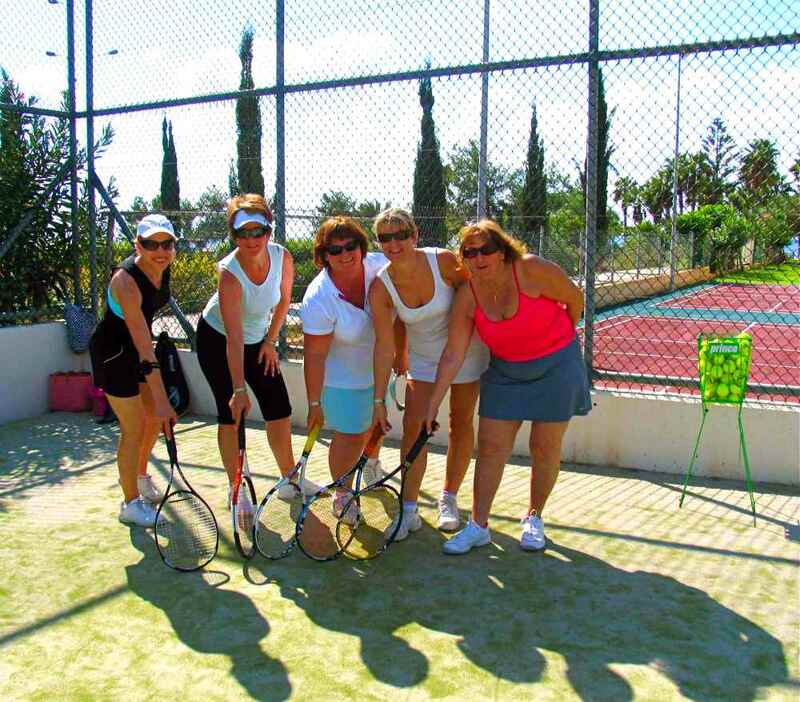 The Summer Tennis Academy in Pafos starts on the 1st July, so hurry up and book your place. 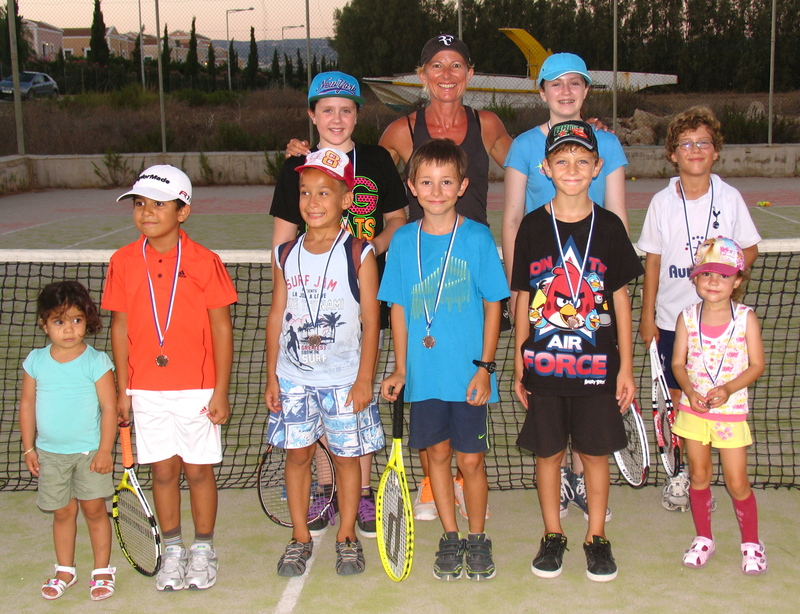 This is the 2nd year that I have done the Summer Tennis Academy and for those of you looking for a Paphos Tennis Coach or wondering what to do with the kids over the long, long summer holiday, it may be the answer. The schedule can be found by clicking STA 2013 timetable. The academy will be run in the same format as last year – 2 hours a day 3 times a week, with several groups (divided into playing levels) running in Kato Pafos and Coral Bay. There are beginners, advanced beginners and intermediate/advanced groups. The morning slot is 8-10am and the evening 6-8pm. I’ve tried to keep the price down as low as possible, so it’s € 50 per week or € 170 for the month. It’s running from 1st – 27th July, with the option to extend it into August if there is demand. What happens at the Summer Tennis Academy? Well it is designed to help children really progress with their tennis, as well as having fun. It will cover various strokes, techniques, tactics and matchplay as well as having a mini tournament at the end. The Intermediates/Advanced group will work on tournament preparation, stroke selection and winning strategies. If there is demand, we can add tennis fitness and sports psychology training, which will incur an extra cost. There will be children taking part from all over the world, including some from the USA. Places are limited, so please sign up ASAP to reserve your space. Either call me on 99 329107, or email me on tenniscoach@squaremango.net or click through to the online registration form. Payment is either in advance by PayPal (Sacha Appleton Tennis Academy), or on the first day of the relevant Summer Tennis Academy class. 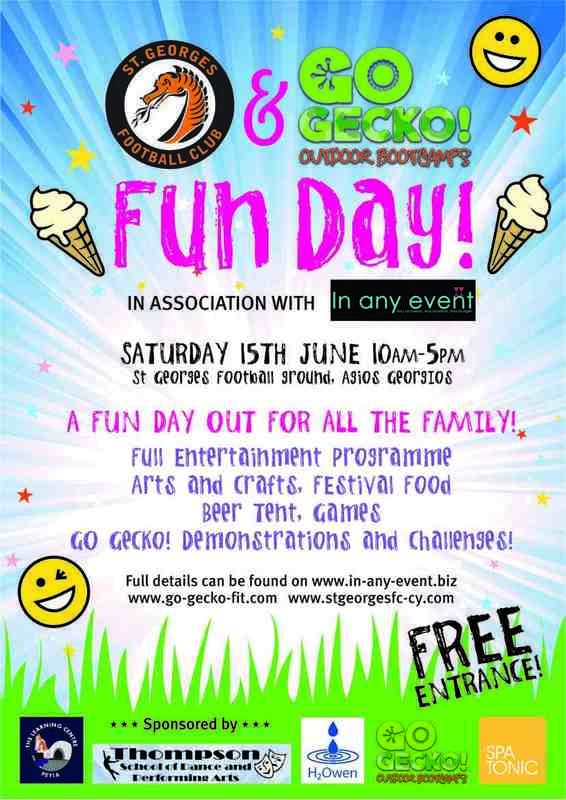 On Saturday 15th June, they are holding a fun day for the whole family, so why not come along? I’ll be there, doing two TennisFit classes and you can call to arrange a short introductory lesson there on my stand. Why not? It’s free. I will have racquets and balls there and a small net. There will be some competitions as well. 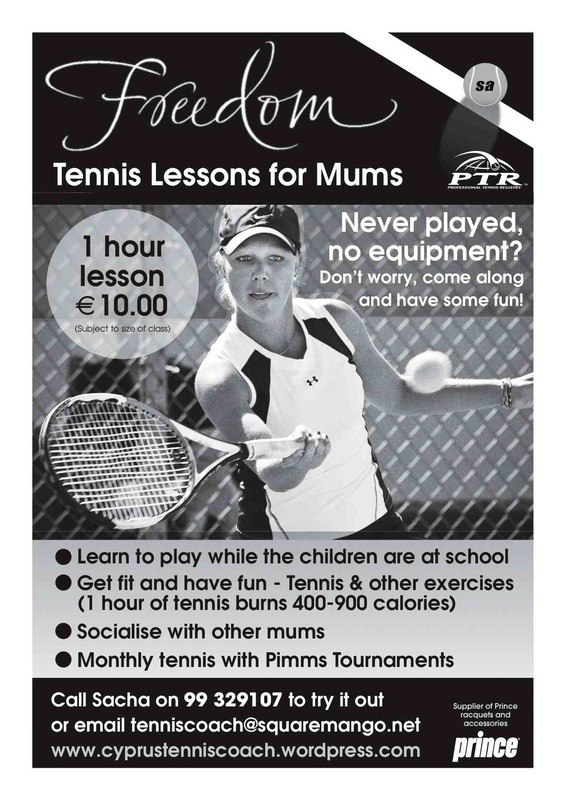 Summer Tennis Academy starts 1st July – sign up now! 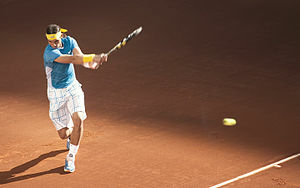 The French Open has just been won by the undisputed King of Clay, Rafa Nadal. I just wish I’d realised before I booked my stand at the Elea Charity Day that it was Finals Day. I was really sad to miss it and the satellite wasn’t working there 😦 Ah, well! holiday, never fear. 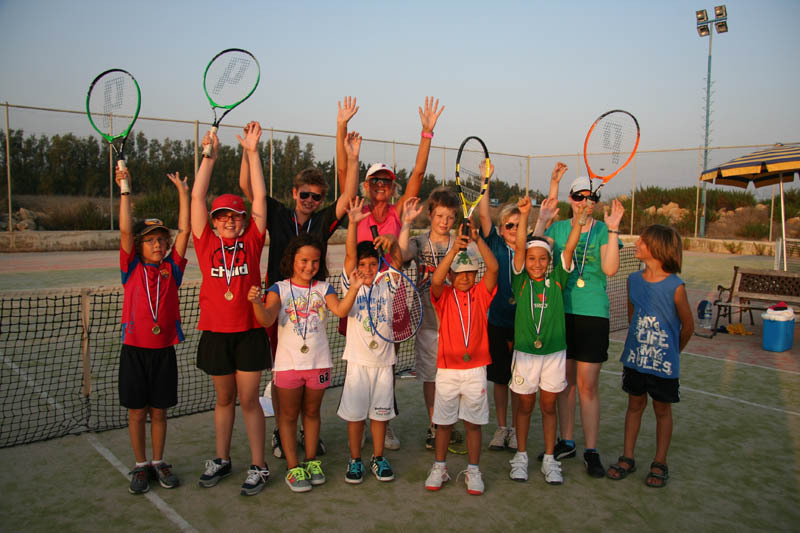 The Summer Tennis Academy in Paphos is here! After the success of last year, I am repeating the same format – 2 hours a day 3 times a week, with several groups (divided into playing levels) running in Kato Pafos and Coral Bay. The morning slot is 8-10am and the evening 6-8pm. I’ve tried to keep the price down as low as possible, so it’s € 50 per week or € 170 for the month. It’s running from 1st – 27th July, with the option to extend it into August if there is demand. What happens at the Summer Tennis Academy? Well it is designed to help children really progress with their tennis, as well as having fun. It will cover various strokes, techniques, tactics and matchplay as well as having a mini tournament at the end. If there is demand, we can add tennis fitness and sports psychology training, which will incur an extra cost. 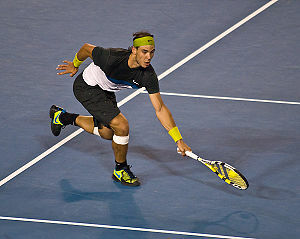 A tennis ball is not just a ball to be hit in tennis. It has multiple uses. What do you think? Can you suggest any? They can be thrown at you, they can be used to create pictures, furniture, or to help as part of a disguise, or as a toy for a dog. You can see some of my pupils trying out some uses at http://www.facebook.com/SachaAppletonTennisAcademy/photos_albums in both the pupils album and the summer tennis academy one. 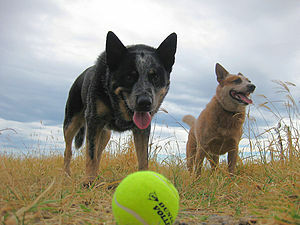 Send in any suggestions (polite ones please) of uses of a tennis ball.